Santa is dashing through the snow towards The Freakout Garage with a lot of gifts to give away to everyone! 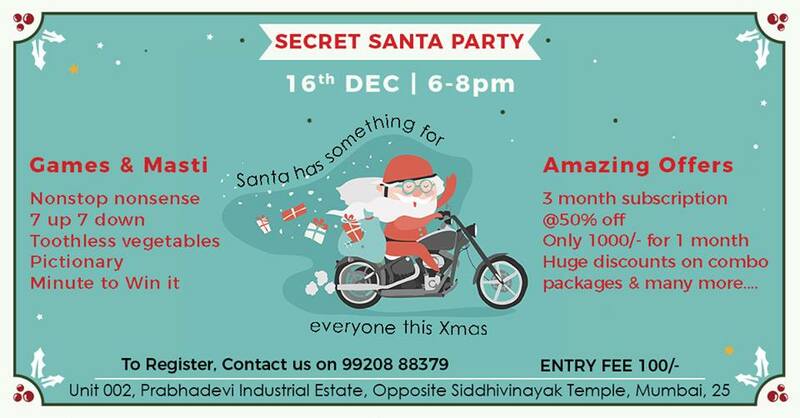 An evening of celebration, games and a lot of gifts & offers awaits you this Secret Santa Party. Art Attack! Love art and can’t wait to create some? 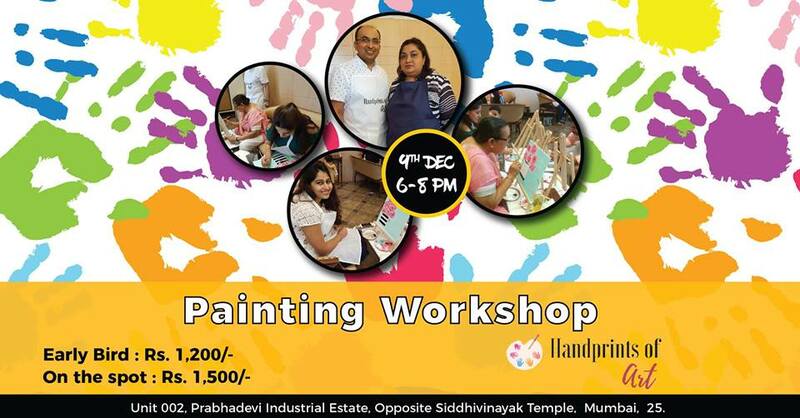 Then you should definitely attend our upcoming Painting Workshop. Bring out the artist in you and create some amazing art. Maybe you are the next Vincent van Gogh!! Shake off the blues because it’s time to dance to some African music! 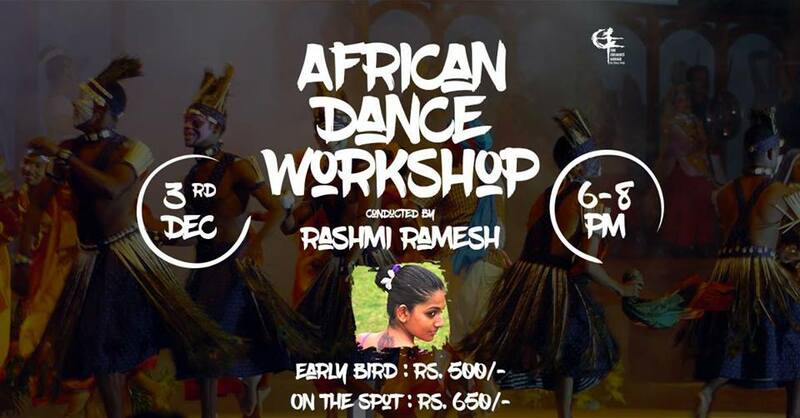 Get ready for a high energy dancing and crazy cardio workout to foot tapping African music where you understand the basics of African dance and origin of their movement base. 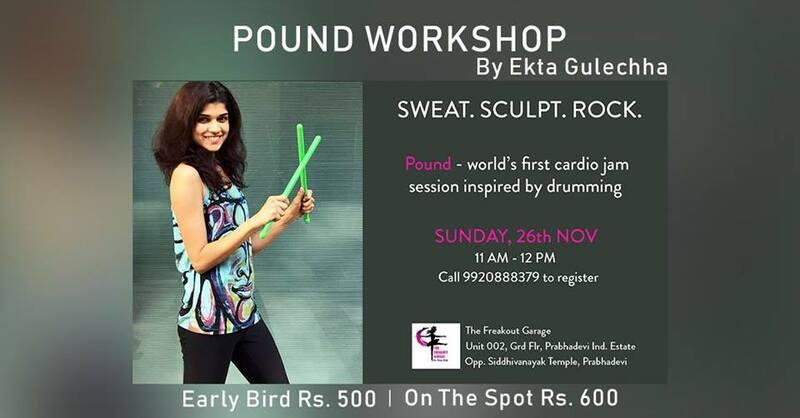 Pound is the world’s first cardio jam session/workout inspired by drumming. So get ready to burn up to 900+ calories per hour, strengthen and sculpt your muscles and drum your way to a leaner, slimmer physique – all while rocking out to your favorite music! Join in for an amazing workout and walk out feeling like a rockstar. What are you waiting for? Wish to be the best at your bestie’s wedding and turn heads while you dance? We are here to help you with just that! Get ahead of the game with our Sangeet Special Workshop. A workshop where you will learn the best of moves and rest assured that this wedding season you are the only stunner at her wedding. You don’t want to miss this one. 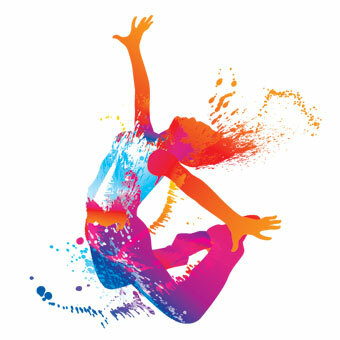 Blend dance with fitness and voila you have Bokwa. This South African aerobic dance activity derives its name from ‘Bo’ meaning boxing and ‘Kwaito’, an African word for a style of South African music and dance. Unlike Zumba, Bokwa doesn’t follow any choreography but is for people with two left feet. Get ready for a simple, basic yet sassy and fun dance workout. Trust us when we say you don’t want to miss this one.